What I love about the LCHF Lifestyle (notice I didn’t use the awful word DIET) is that you do not have to get rid of your favorite recipes, you merely have to swap the carbs for veg or proteins! What you do need is time to cook and research recipes. If you are looking for a lazy way of eating, Jenny Craigs or Weight Watchers is for you. These are unhealthy diets IMHO that rely on a points system rather than nutrition. The LCHF Diet relies on the actual way your body likes to metabolize things in the most efficient way possible, by converting fat into fuel and using protein for lean muscles. Using a food processor, rice the cauliflower into rice-sized pieces by pulsing. Slice the cucumber on each end, then place the cucumber upright and slice off each side.Discard the middle and slice about 2 side pieces into small strips. Set aside in the fridge. In a very hot pan, add cauliflower rice and cook. Season with soy sauce as the cooking process happens, about 1 tbsp. Once the cauliflower is finished up and dried out some, add to a bowl with cream cheese and rice vinegar. Mix together well and set in the fridge until cool. Once the rice mixture is cooled, slice 1/2 an avocado into small strips and scoop out of the shell. Put a nori sheet down on a bamboo roller covered with saran wrap (this helps with sticking). 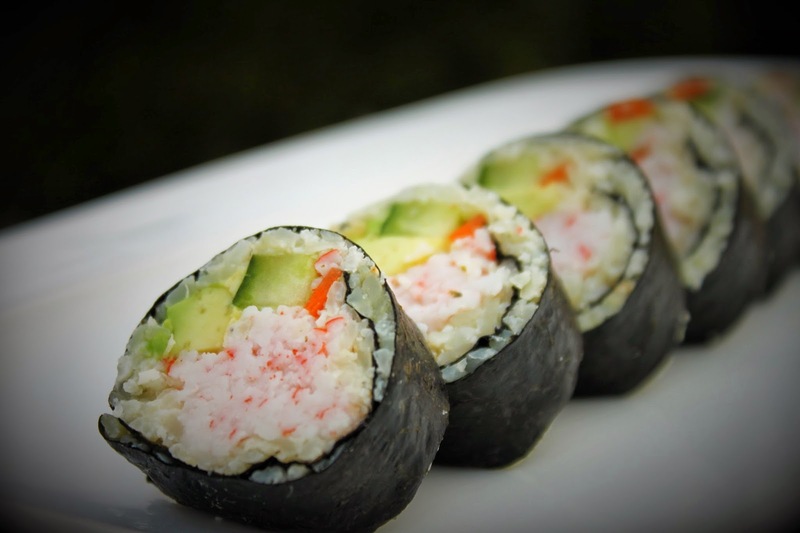 Spread some of the cauliflower rice mixture over the nori sheet, add fillings and roll tightly.